Monique joined the Julian community on May 17th, 2018. The Reverend Monique Stone’s professional journey has taken many paths, from high profile roles in the private sector to consulting work in the areas of environmental and social sustainability. However, it is her work as Anglican Priest at the Parish of Huntley in Carp which has fused both her professional and personal commitments into one. Reverend Monique has been an ordained leader since 2011, and is well known in west Ottawa for her outgoing, approachable style, whether she is interacting with children, blessing animals or helping community members deal with life’s most difficult moments. No one, no matter their faith, background or circumstance, is ever marginalized in Reverend Monique’s presence. From pumpkin carving gatherings, to a “Hunger Games” themed Church service, to suicide-prevention programs, to encouraging cross-generational dialogue, her goal is to foster a dynamic where people pull together to make communities and lives better. Monique is married to Chris and they have two teenagers, Lily and Rory, and two dogs,Gunner and Bowie! The Reverend Deacon Elizabeth December-Lovell was ordained deacon in 2015. The ministry of a deacon is to act as a bridge from the gathered church community to the world, “to interpret to the Church the needs, concerns and hopes of the world…and to show that in serving the helpless they are serving Christ” (BCP p.543). Elizabeth was born in Guyana, South America, and lived in Montreal and Toronto before settling in Ottawa, where she was a long-time member of the former parish of St Michael and All Angels. With her strong ties to the community and history of that parish, we are very fortunate to have her appointed in November, 2015, as part time Pastoral Associate in the new parish of Julian of Norwich. Elizabeth’s current work at Julian of Norwich is to provide and coordinate Pastoral Care and Christian Education activities. Elizabeth has academic degrees in Public Administration and Arts, as well as training in Hospital Ministry. She is now completing studies towards M. Divinity at Saint Paul University, Ottawa. Elizabeth is married to Malcolm Lovell, and they have two daughters Amanda and Vanessa. You can contact Elizabeth at edecember@sympatico.ca or by phone at 613-723-1980. Simply put, Sue is the ‘go to’ person at Julian of Norwich. Originally from the Eastern Townships, Sue also spent portions of her youth in Kingston, Jamaica before settling with her family in the west end of Montreal. She married her husband (David) in 1975 at St. Phillip’s Anglican Church in that city and then they moved to Ottawa in 1979. Their son (Eryk) was born in 1982 and was followed five years later by their daughter (Tracy). Sue is now the proud Grandma of Carson and Peyton. 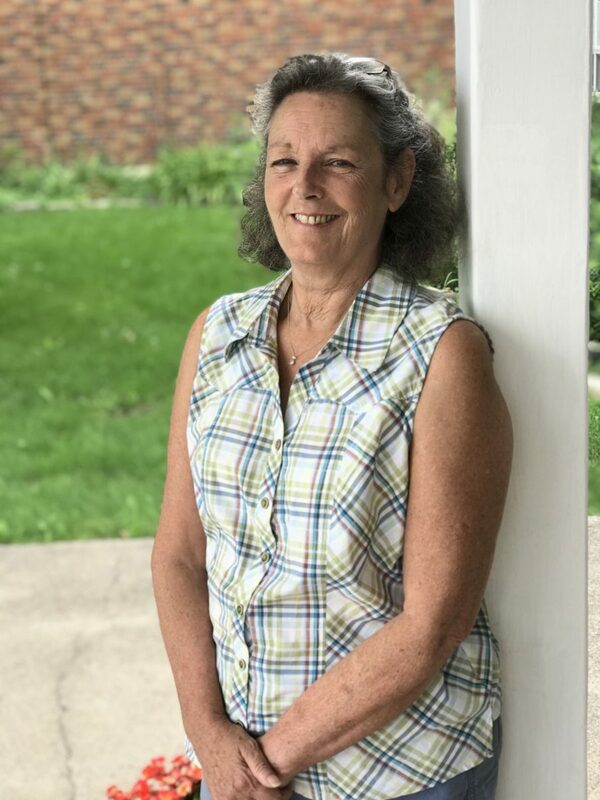 Before starting her (26 years as of 2019) career as an Office Administrator with the Anglican Diocese of Ottawa, Sue spent five years with Dominion Textiles Quality Control Department in Montreal, chaired the Anxiety and Panic Disorder Support Group at the Royal Ottawa Hospital, worked as a teacher’s assistant at W.E. Gowling Public School and was office manager for a small tech firm. God truly uses all things for the good of those who love Him. Sue has a big heart for serving any and all who require an empathetic ear. I am pleased to announce that Michael Garner, his wife Rochelle and their two children Isaac and Elise joined the Julian of Norwich community in September 2018. Michael is a Postulant with the diocese and is currently studying at Wycliffe College in Toronto. Michael participates in a variety of activities at Julian and has assisted in the launch of a fresh expression of church that we hope will reach out to the broader community. We have created a Simple Church / Dinner Church model that provides opportunity for people to explore their spiritual lives in a non-traditional (yet liturgically based) way that centers around a communal meal.